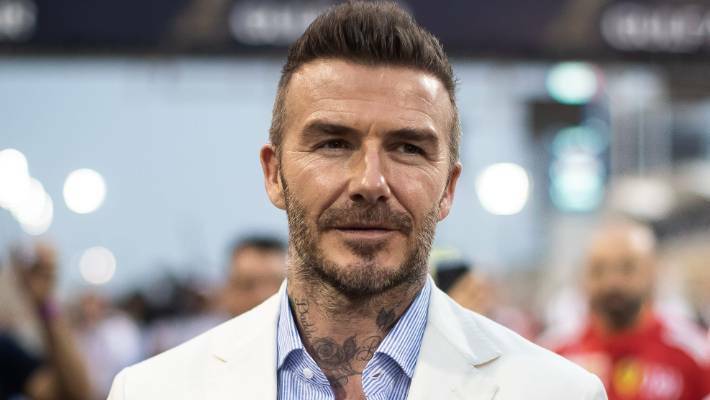 When David Beckham's newest tattoo, a tiny black heart on his left ear, was spied at an Adidas launch in China in March, web browsers somersaulted with exhilaration. His life story, Beckham has said, is documented by the 40-plus that adorn his arms, chest, neck and hands. Yet for the majority of people whose employment doesn't encompass driving a $260,000 Jaguar sports car as a brand ambassador, tattoos continue to attract stigma in a work environment, particularly in the corporate world. David Beckham tends to keep most of his tattoos covered up. Lauren Flower, 30, is a legal secretary at a mid-tier law firm in Sydney, Australia. She got her first tattoo, a line of script on her forearm, aged 20, while in Cancun, Mexico. Her collection now stands at 14. "I kept getting them because it's like a whole experience," she says. "I guess it becomes for a lot of people, like an addiction, a permanent accessory." Her boss, however, remains unaware of the two inward facing scorpions on her stomach, or the portrait of her cat on her arm. Nor is he likely to find out, as her work attire of blouse and pants conceals them. Such is their unacceptability, that in her former position at a top tier law firm, her contract was tattoo-specific. "It had a clause about not having visible tattoos," she says. "I would need to check my current contract, but I rarely see clients, so I don't know what the issue would be. But the company would probably think they look unprofessional. That perhaps people who have them are not well educated, or have a low intellect." Everyone's been talking about Beckham's latest tattoo - a tiny heart on his ear. Meanwhile, across town, Noel Commins' boss knows of his software development company project manager's tattoos, seen when the bold art has protruded from the 35-year-old's shirt cuffs. "I don't have to cover them," Commins says, "but I chose to. Most people are pretty cool about it, but because I am heavily tattooed, I feel less under the microscope if I do. I've worn short sleeves a couple of times and got positive comments from some of my clients." Commins concedes he's fortunate: his company's attitude informed from his job proficiency, as well as his gender. "It is more difficult for women," he says, "because people are less used to seeing heavily tattooed girls. With guys it's been normalised somewhat, as on TV, all the sports players have them. "It also depends on the type of tattoos. If you've got nice looking ones, not the sketchy black and grey things you see in jails or on football fields, people are less apprehensive about them." Research conducted by IBISWorld in 2018 found an increased social acceptance of tattoos. It noted a higher demand for parlour services in the past five years. Patrons aged between 30-49 the strongest demographic, like those seen by tattooist Lauren Winzer, who works at Hunter & Fox studio in Sydney. Herself the owner of near 100 pieces of body art, Winzer has engraved careerists ranging from receptionists to surgeons; her oldest first timer, an 83-year-old German woman whose granddaughter dispelled her WW2 negative perception, and coerced her to get a matching cartoon owl. She most recently spent an evening doing a whirlwind tattoo marathon at the QT Sydney, illustrating connoisseurs and cleanskins alike. But seven-and-a-half years ago, prior to becoming an artist whose reputation has seen pal Miley Cyrus fly the 30-year-old to LA to ink her for magazine shoots and birthday parties, Winzer worked for both a Telco and office supplier, where she was told to keep them secret. "I had to cover them all up," she says. "I remember one hot day, I took off my cardigan and my boss saw them. She wasn't stoked. She worried I was going to do a bad job. But I'd been doing the role with my tattoos covered the entire time. "I was one of the hardest working people there. But as soon as she glimpsed any hint of my personality, I was treated differently. But I wasn't dealing with the public. No-one saw me." Winzer knows from the office workers who request art on specific places so they can be disguised, that the stigma in corporations is yet to vanish. "Things are getting better," she says, "but it's still happening. As long as you are being professional, I don't know why it should matter. But people still judge us."